This complex contains a ball field, basketball, pickleball and tennis courts and a walking track. Parking is available off Frederick Street. The use of this park is on a first come- first served basis and there is not a reservation policy. 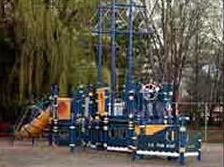 This park is located at the intersection of Water and Louisa Lane. With a newly built stage, this park is available for rental for concerts, weddings and other community events. 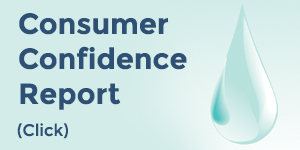 Contact Town Hall for more information. This park, located behind Town Hall, is geared toward the young children of the Town. 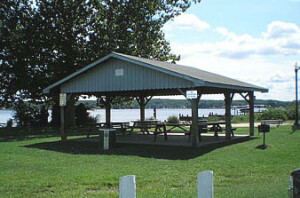 The Town has a pavilion for picnickers. Dogs are not permitted in this park. This park, located near the corner of Market and Water Streets, has a pavilion that provides for a nice view of the Northeast River. Dogs are permitted in this park provided you clean up after them The pavilion is available for rent through Town Hall. 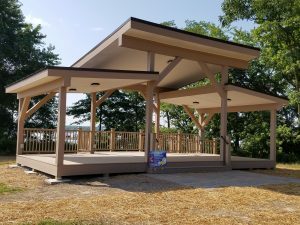 There is a public rest room facility located at Veterans Park. It is open to the public during the boating season. 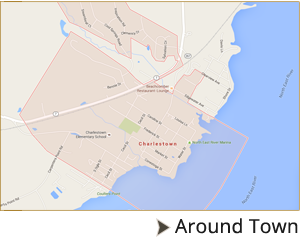 Charlestown was established to provide a port at the head of the Chesapeake Bay. The Stone Wharf is a reproduction built on the cribbing of the original wharf. This area, at the corner of Water and Conestoga streets is a designated ‘free fishing’ zone which means you do not need a fishing license to fish off the wharf. 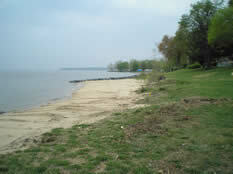 Located next to Stone Wharf at the corner of Water and Conestoga streets is Long Point Park named for its location on the Northeast River. 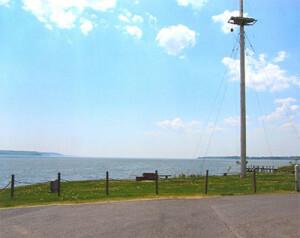 The flag pole located on this site, is a reproduction of a ship’s mast complete with crows nest. Come sit and relax on a park bench and enjoy a beautiful sunset. This is also a popular wedding location and can be rented through Town Hall. 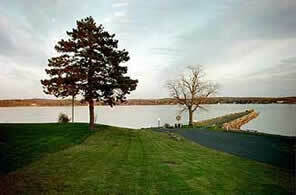 The public boat ramp, located at Water and Market Streets, is open year round to the public for a $10.00 daily fee. Yearly passes are available for $25.00 for boats that are registered in Maryland and $75.00 for boats with out of state registration. 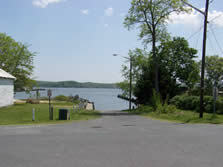 Free Public parking of boat trailers is allowed in Parking Lot B located in Avalon Park at the end of Water Street only. Trailer parking is not allowed along the street or in Veteran’s park Lot A. Lot A – located at Veterans Park and is primarily for vehicle parking for the park or pavilion. Boat trailer parking is prohibited. The Town has a municipal boat pier and rents the slips each year. If you wish to be placed on the waiting list for a slip, please send a written request to Town Hall. 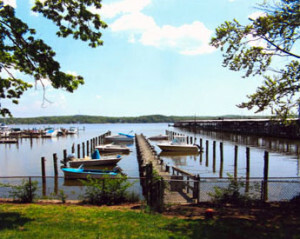 All boats using a slip on this pier must be Maryland registered. The maximum boat length permitted will be 26ft overall. The Town Pier boating season is March 15 thru November 30. 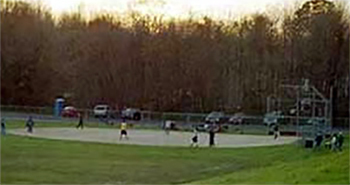 Town Foot Log Park is located at the corner of Bladen and Conestoga Streets. 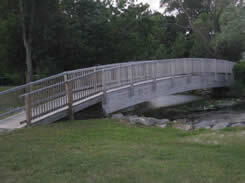 Cross over the wooden footbridge and enjoy the beach area. Please respect the private property of the residents located on either side of the park as indicated by posted signs. 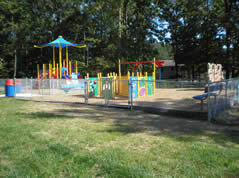 Trinity Woods Playground is located on Clemency Drive in the Trinity Woods development. It is open to the public although, it is not equipped to accommodate pets. Therefore, pets are not permitted. Avalon Park Stage, Veteran’s Park Pavilion and the Long Point Park areas are available for private functions. The Town requires a small donation to reserve these locations. Contact Town Hall to reserve your date prior to returning the application, with payment, to Town Hall. Click here for an Event Form Please call Town Hall to confirm park availability.